The Portable Jamming System (PJS), is a portable GPS jammer developed for companies to test their commercial GPS products (antennas, receivers, etc.). PJS utilizes a software defined arbitrary waveform generator which allows for rapid development and insertion of current and new threat waveforms along with an analog noise generator providing true Gaussian noise. The system is equipped with a real-time spectrum analyzer for power monitoring and signal verification. The system is capable of full wireless remote operation allowing for placement in areas that require personnel to evacuate during operations. The system is available in 100 and 300 watt output power models (TMC-PJS-100 and TMC-PJS-300, respectively). The system is housed in ruggedized rack-mount transit cases providing protection from shock, vibration, and the environment. By using multiple systems GPS EC threat laydowns can be created using the latest signal techniques and variable power levels with an array of antenna types. 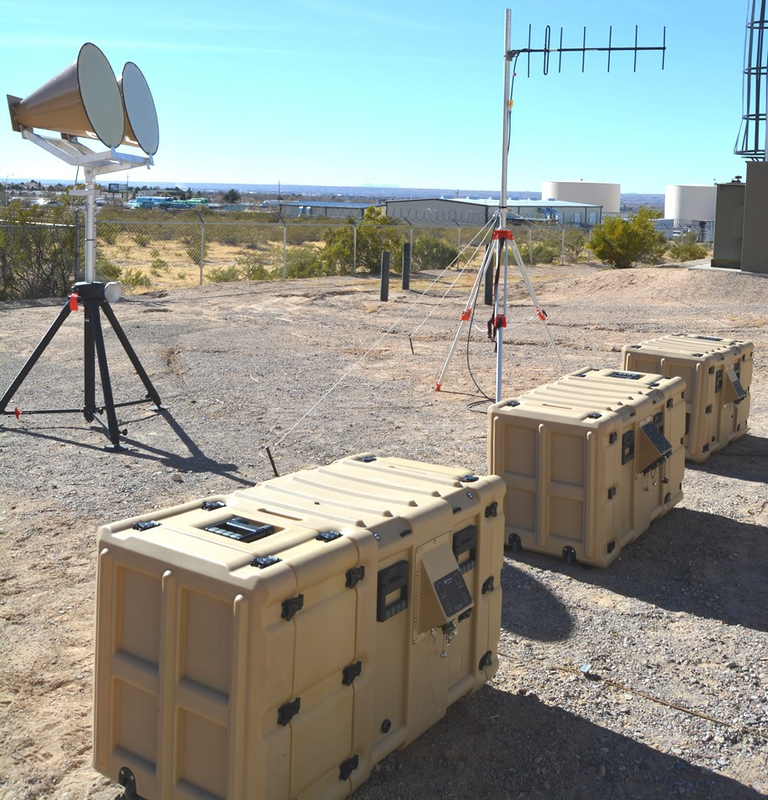 The Portable Box Jammer (PBJ/GATER) is a portable GPS jammer for companies to test their commercial GPS products (antennas, receivers, etc.). The system was designed as a turn key system to be a portable GPS jammer that is capable of producing multiple waveforms through a software defined arbitrary waveform generator. PBJ provides a flexible source architecture which allows rapid development and insertion of new threat waveforms when identified. PBJ also eliminates the dependency on hardware based waveform solutions, improves the timeliness of a new waveform generation and reduces the form factor required to maintain and generate a wide variety of waveforms. Systems come in 100 watt models (TMCPBJ-100). The system comes with an Ethernet-based Analog Noise Generator which generates true Gaussian noise modulation and blinking modes. The system’s digital signal source provides a bulk of the unit’s modulations, which can hold six 2 GB FPGA’s with 4-channel outputs. The system has its own 10 MHz timing reference and is remote controllable for operation in remote locations.